Summary: You may think you know the story. After a miserable childhood, penniless orphan Jane Eyre embarks on a new life as a governess at Thornfield Hall. There, she meets one dark, brooding Mr. Rochester. Despite their significant age gap (!) and his uneven temper (!! ), they fall in love—and, Reader, she marries him. (!!!) Or does she? Prepare for an adventure of Gothic proportions, in which all is not as it seems, a certain gentleman is hiding more than skeletons in his closets, and one orphan Jane Eyre, aspiring author Charlotte Brontë, and supernatural investigator Alexander Blackwood are about to be drawn together on the most epic ghost hunt this side of Wuthering Heights. 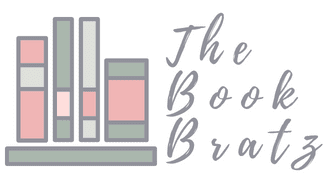 Today on the blog we have a guest review from Stephanie over at Ohana Reads! 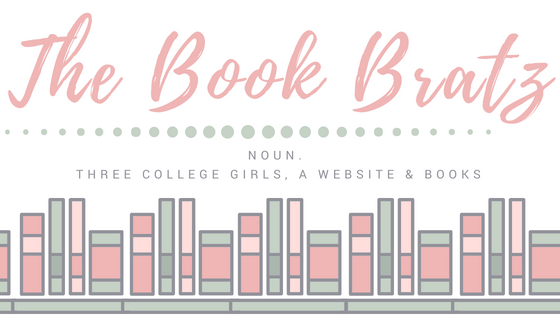 She was kind enough to stop by and review an advanced copy of My Plain Jane and share her thoughts on it, and we couldn't be more excited to have her -- especially as our first guest ARC review! So without further ado, let's get into it! I feel like we're getting a bit off topic. It's been almost two years since I first read the hilarious and exceptionally cute book My Lady Jane by Cynthia Hand, Brodi Ashton and Jodi Meadows. It was one of my favourite reads of 2016, and I couldn't have been happier to hear that the publisher had purchased two more books in the series. 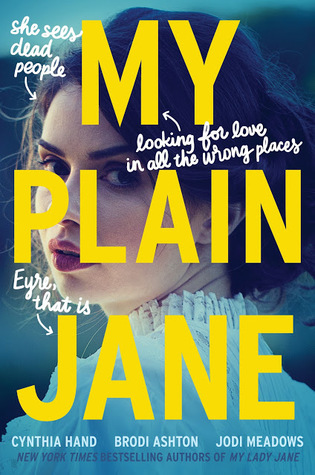 Flash forward to a month or two ago, when I was finally able to get my hands on a copy of its sequel, My Plain Jane. With both books, I knew the history of the original story of both Janes going into the books. Unlike My Lady Jane, I never enjoyed the original Jane Eyre story. So it was exciting to go into My Plain Jane and expect a comical twist to the originally bland story. Of course with a trio of such fabulous authors working together, I couldn't have expected anything less than perfection. My Plain Jane turned out exactly as I'd imagined, and more. The humour from their first novel was back and even stronger than before. With My Plain Jane you had the perspectives of Jane Eyre, Charlotte Brönte and the supernatural ghost hunter, Alexander Blackwood. What made this book all that more intriguing was that while having the perspective of Charlotte Brönte, the original writer of Jane Eyre story, the authors made Jane Eyre a real life friend of Charlotte, and that she was the object of Charlotte's novel that she continues to write throughout the book. Like the first book, you did not need to know Jane Eyre's story to understand My Plain Jane. I found in this case that if you had read it before picking up this book, then you would have noticed a few head nods in its direction. But otherwise you will find that you will be rather pleased with the book no matter what your situation was before reading the book. One of my favourite parts of the book was when we got a bit of a peek at a few of the characters from My Lady Jane, confirming that the stories take place in the same world but rather at a different place in time. My Plain Jane was a absolute hit with me, written with the perfect amount of wit and romance. I can not wait for it to release for everyone else to read it, and I look forward to the next in the series, My Calamity Jane.